Avaliação dos casos de identificação humana envolvendo a odontologia forense na cidade de Pelotas - RS (Brasil), de 2004-2006. 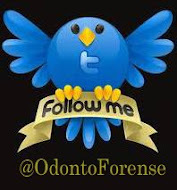 Aim: This study investigated the use of dental arch examination as a forensic technique for body identification at the Institute of Forensic Medicine (IML, acronym in Portuguese) of Pelotas (RS), a city located in the South of Brazil. Methods: The data collected for the study referred to the period between 2004 and 2006, when a forensic dentist was part of the IML staff. The post-mortem records with regard to the entry of unidentified bodies that had undergone dental identification by the forensic dentists were analyzed quantitatively. Results: Ten unidentified bodies entered the IML and all of them were submitted to dental arch examination for body identification. However, the conclusive identification was based on the analysis of DNA, because the victims’ dental records were not accurate, complete and updated. Only five assessed bodies had been referred from Pelotas police station, two from Pedro Osório police station, one from Capão do Leão police station, one from Arroio Grande police station and one had no information about its origin. Conclusions: The current configuration of Pelotas IML staff does not include a forensic dentist, and the presence of this professional is needed, for the city is reference for referral of forensic cases from the surrounding region. Published in Brazilian Journal of Oral Sciences January/March 2009 - Volume 8, Number 1.